The properties collectively known as Summerhill lie in a belt of high fertility and excellent rainfall in the KZN Midlands, approximately 40 minutes from the provincial capital, Pietermaritzburg. According to John Reader’s celebrated book, “Africa: A Biography of the Continent”, this neighbourhood ranks with the most fertile on the continent. This has come about through the natural erosion of the Drakensberg range over a period of millions of years: these mountains are reputed to have been positioned in the vicinity of what is known today as Hilton, and have weathered back to their current position, where they have been stabilized by a basalt underlay. The nett result is that the hills and valleys between Hilton and the Drakensberg are richly endowed with minerals and a summer climate that deposits between 800 and 900mm annual rainfall. The topography around Summerhill is such that it has traditionally benefitted by an additional 25-50mls, while the four major catchments on the farm are responsible for the supply of five large holding dams, ensuring the property’s water security. In 37 years under the present proprietorship, Summerhill has known only two dry seasons (1992/1993 and 2014/2015), and even then, the principal dam was not exhausted, nor has there been a need to resort to the four auxiliary resources, each with a substantial capacity in its own right. In addition, the Hartford property has pumping rights on the Mooi River, from whence all the potable water and a 50 acre quota of irrigation water, is extracted. The surplus water from the Mooi River tops the dams up through the year. While the property is largely dedicated to the production of pastures for the welfare of horses and cattle, it is as well suited to cropping for maize, oats, sorghum, sunflower and wheat, and has been previously utilized for optimal seed potato production. Summerhill is also the envy of most self-respecting dairymen. Aside from the waterways which lie in its catchments, the land is almost entirely arable; the soils are deep, typically fertile and virtually devoid of rocks. While there is a substantial acreage under irrigation capable of sustaining the large stock population on the property, most years, natural rainfall is more than sufficient for this purpose. The pumping facilities and water capacity of the property are such that virtually all of the acreage has irrigation potential. The farms have always been self-sufficient in pasture terms, though Summerhill does supplement its own production of eragrostis feed and bedding hay. Besides its agricultural potential, the property has five work tracks on it, two 1200m sand tracks under irrigation, two 1400m grass tracks under irrigation (the Imperial Dilemma,) and a full size racetrack (the National Emblem) of 2200m; its construction and drainage system are a compliment to the engineering skills of an Italian prisoner of war who spent the years of World War II at Hartford. Most of the great Hartford horses of the past were trained on these tracks. There are eight properties comprising the whole, with a total acreage of approximately 2200 acres, though the hillside pieces are more in the nature of small holdings. These acreages do not include The Monastery (+-10 acres) and The Townhouse, which provides accommodation for students and interns. The area around Summerhill was the scene of military turmoil for more than a century, between 1800 and 1900. The three nations that comprised the bulk of the local populace, waged war for the spoils of this region more fiercely than at any other time in their prior histories. Within two hours of Summerhill, they all celebrated their greatest military moments, while the owners of Hartford and Summerhill were central to the politics of the time. According to Queen Victoria’s original Deeds Of Grant, Hartford was founded in 1875, while Summerhill was granted in 1879. Hartford was developed by the Moor family, which gave the Colony of Natal its last Prime Minister, Sir Fredrick Moor; John Moor, a senator in the first Union Government, was responsible for most of the early development at Hartford. Politically, Summerhill’s most prominent resident was Col. George Richards, member for Weenen Country in the Colonial government, who reputedly deputised for the Prime Minister from time-to-time: between the Moors and Col. Richards, they founded on these properties Africa’s biggest dairy business, NCD, and the land’s biggest meat processing business of the time, Eskort Bacon Factory. Before the outbreak of the second Civil War in 1899, NCD was established on Hartford by a conglomerate of local farmers, including General Louis Botha, who farmed in nearby Greytown. The dairy, which is currently part of the Hartford House gardens and used as a chapel, is thought to be the only building in the land designed and built by two prime ministers. Significantly, it was at the foot of the two farms in November 1899, that General Botha took command of the Boer forces from the former Voortrekker hero, General Piet Joubert. The Natal Kommando under the latter’s nephew, General Dawid Joubert, participated in the armistice formalities at Summerhill in 1902; to mark the occasion, his troops together with the farm staff, planted what is known as the “Avenue of Nostalgia”, which flanks the entrance to modern day Summerhill. Besides General Botha, prominent visitors to these properties in their early years included Winston Churchill, Baden-Powell, Lady Roberts and in 1922, the Earl of Athlone and King George V’s cousin, Princess Alice. Since Hartford House became a hotel in 1997, it has hosted heads of state and all manner of business and political leaders, as well as being on the “bucket lists” of several Springbok rugby and Proteas cricket captains and coaches. A few years back, five former All Black rugby captains commencing with Fred Allen (1949), visited the farm with the legendary New Zealand breeder, Sir Patrick Hogan. While they prefer to maintain their anonymity, some of the big names in American business make a regular 15-man sojourn at Hartford for a week at a time. For a broader view of the Summerhill story, see below Timeline. The Goss family’s connection with racehorses dates back to the early 1930s, when Pat Goss snr established his successful breeding operation at The Springs in East Griqualand. Their association with horses however stretches back several centuries to their Irish ancestry, and endures to this day. Raymond Ellis established his all-conquering private breeding and racing operation at Hartford in 1940, which became the most successful enterprise of its kind. In his treatise on the subject, Sir Mordaunt Milner included Hartford alongside Lord Derby, the Aga Khan, Federico Tesio, Marcel Boussac and America’s Claiborne and Calumet farms among the great private breeding establishments of the world. Ellis was a hotelier and property magnate in Durban, and at one time owned much of what is known today as Durban North. He was the founder of a brickworks which was to be incorporated into Corobrick, and acquired Hartford from the Moors as his country retreat. His thoroughbred endeavours commenced in earnest with the arrival on the property of five Italian prisoners of war taken in the Ethiopian campaign, one of whom was a former head groom of Senor Tesio, the famous breeder of Nearco, Ribot and Donatello. This man encouraged Ellis to “breed like you mean it”, and he did, acquiring daughters of the pre-eminent stallions of their time in Europe, Royal Charger, Donatello, Nasrullah etc, as his foundation stock. A product of one of these mares, Masham, remained in England after his dam’s acquisition, and emerged as the Champion Two-Year-Old after winning the Middle Park Stakes; he was imported to South Africa to become leading sire of juveniles on several occasions, as well as regularly occupying a position of prominence on the national sires’ log. In the same era, Ellis imported the future national champion sire, Sybil’s Nephew (second in the English Derby), and these stallions developed a serendipitous alliance with one another’s daughters. While the names that adorn the old pots on the main driveway are testimony to an astonishing legacy, it’s worth recalling some of the luminaries: Sentinel, Mowgli, Magic Mirror, Cape Heath, Alyssum, Panjandrum, Council Rock, Ajax, Cosmonaut, Salmon, Preston Pan, Magic Charm, Master Polly, Amaze, Beacon Light, Decision, Royal Occasion, Broken Spell, Lavonie, Miracle, Piper of Pan, Alhambra, Derby Day, Hey Presto, Miliza, Wayfarer, Magic Square, Dazzle, Fantastic, Flaming Heath, Juryman, Gypsey Moth, Puss Moth, Visionary, Preestissimo, Lampoon and Rudigone. The roll call of these Hartford graduates includes a host of Oaks winners, numerous Derby and Guineas winners, several Gold Cups, a Durban July, two Summer Handicaps and every other major event on the South African racing calendar with the exception of the J&B Met; that deficit has since been addressed with the victories in the Met of three graduates of the farm since the Goss family took over Hartford in 1990. Between the two farms, Summerhill and Hartford, their four Durban July aces rank them second only to the Birch Brothers, while Summerhill’s Honours board reveals the names of the champions and standouts Nhlavini, Rebel King, Pick Six, Blueridge Mountain, Spook And Diesel, Imperial Despatch, Igugu, Imbongi, Angus, La Fabulous, Dancing Duel, Pierre Jourdan, Smanjemanje, No Worries, Gun Drift, Mystery Guest, Last Watch, Fisani, Dynamite Mike, Carnadore, Desert Links, Cereus, Paris Perfect, Dylan’s Promise, Killua Castle, Hollywoodboulevard, Rich Girl etc. Summerhill as it is today, was founded in 1979 with the acquisition of the farm of the same name. There was no big business or family money involved, so the stud has been developed to its present size, including the acquisition of the adjoining properties, on the back of its horse-related activities, its associated small businesses, the enterprise of its team, and an excellent relationship with its bankers. Apart from the hillside small holdings already, the horse enterprise makes use of the bulk of the land, though the farm is also home to a much-awarded herd of approximately 200 head of Angus cattle, which are used mainly in the eradication of parasites and ticks. The property has enjoyed virtual biliary-free status in its horse population for the best part of 20 years now. The stud has five main income streams, boarding or agistment, stallions, sales, pre-training and its own trading division. The population of horses ranges between 800 and 900, depending on the time of year (it sells approximately 200-220 horses a year, the bulk of them between November and February, when 180-200 go under the hammer). The farm has long been home to the biggest contingent of foreign-owned racehorses on any one property in the world, and its customers range from Japan in the East to the United States in the West, across multiple time zones; they include most of the major racing countries in between. In 2005, after several near misses, the stud began compiling a modern record of nine consecutive breeders’ premierships in the face of the stiffest competition in South African thoroughbred history. Its relevance in the affairs of the national breeding fraternity is maintained by a realisation that without access to the enormous funds being invested in the breeding industry in recent times, it had to do things differently. Commencing in the early nineties, Summerhill revolutionised its approach to its agricultural practices, including an intimate understanding of the environment, the climate and the potential of its soils, and harnessing these attributes to their maximum. The stewardship of farm health is an often-neglected aspect of stud farm management: by contrast, the welfare of the land has been at the forefront of Summerhill’s agricultural policies throughout, and the farm is in excellent biological shape. While all these factors amount to increments of not much more than 5%-10%, in aggregate they make a telling difference. Twenty-five years ago, through an association with Australia’s celebrated “chicken kings”, the Inghams, Summerhill acquired the nutritional technology that leapfrogged this country some two decades ahead of where it was, to the point that while the feed division, Vuma, was still engaged in commercial production, it was feeding seven of the nation’s top ten trainers. Coupled with their bio-farming methods, over a period of time, Summerhill has witnessed a substantial difference in the birthweights of its foals and hence their durability at the races, to the degree that reference to the racing statistics, reveals that Summerhill horses run more often than most, (and hence enjoy more earnings opportunities). They realised that in order to harness the maximum potential of those things that were within the grasp of management, they’d need to have the skills to do so. This meant providing their staff with the best training their money could buy, which initiated a scholarship programme in the early nineties that has awarded more than sixty international work opportunities to members of the formerly disadvantaged community. In conjunction therewith, Summerhill built three educational institutions, a crèche, a junior school and the only institution of its kind in the southern hemisphere in equine management, which doubles as an after-hours provider of teaching in life skills and literacy. The outcomes generated by the School of Management are well documented; for the record, they include the award of between five and seven international scholarships annually, two of which are to the English National Stud, the leading institution of its kind in the world, where the School’s graduates have excelled by topping the class in three of the past four years. These are remarkable achievements by any standards. Unable to compete with the established farms at the national and regional sales, Summerhill inaugurated the first Ready To Run sale in the southern hemisphere, as a means of wrapping up their product in a unique way. That was some 28 years ago, and since then the Ready To Run sale has grown to a place of pre-eminence among the country’s best sales. “World-first” innovations around that sale include the installation of the gallops on a website; their distribution by DVD; the introduction of a dedicated race which eventually became the richest in South Africa, the creation of a judges’ panel and payment on extended terms. In one form or another, these initiatives have been emulated in various other parts of the world, particularly the technological advances. An unintended consequence of the Ready To Run, but one of considerable value since discovered, was the benefit of working with the progeny of their stallions and mares in the realm for which they were bred, namely running. Few stud breeders get the opportunity to become intimately acquainted with the minds and constitutions of their stock in the racing environment, something which reveals how quickly they learn, how much work they can take (or need), how they move, what their likely aptitudes are, and what sort of temperaments they have. This is of obvious value in assessing a stallion in the early stages of his career, and especially in the mating of one’s mares. Summerhill identified the prospect of gaining an advantage in the areas of marketing and social media. Their collateral production (brochures, DVDs etc.) is well known; less well known is the penetration Summerhill has achieved with its social media. It has one of the world’s most visited breeding sites; this has enabled it to reach a large local and international audience, and has obviously ensured Summerhill a position of prominence among the world’s better-known breeding establishments. Finally, twenty-eight years ago, Summerhill initiated the Breeders Premium Scheme for the province, and that remains a valuable resource for reinvestment in breeding stock. Fifteen years ago, in conjunction with Minister Alec Erwin, it established the South African Equine Trade Council, which in its first six years under Summerhill’s custodianship, pioneered the first protocols with the European Union as well as the concept of the Kenilworth quarantine station. Trade in those days was buoyant. There are a total of 117 buildings on the property, including approximately 260 boxes in twelve stable blocks spread evenly across its various titles; a farm office as well as an administration office (on each of the two principal properties), an attractive but functional stallion barn and its associated paddocks, a modern, well-equipped foaling yard, a feed-mill and its associated office, 15 management homes, and 42 staff houses; the hotel (22) and the School Of Management (5) make up the balance. The farm roads are largely under tar, (11,5 kms) which preserves vehicles and reduces dust, and where they are not, the roads are under excellent shale gravel. The property also houses the best facility of its kind in the world, the School of Equine Management Excellence (which doubles as a functions facility and sales venue for the hotel and the horse side at various times of the year), as well as Hartford House, which has long ranked among the leading boutique hotels in the country. Hartford House occupies a leadership position among the top boutique hotels in the land, and with the late David Rattray co-founded the Land Of Legends, a collection of the best hospitality establishments in the province (The Oyster Box, the Beverly Hills, Phinda Private Game Reserve, Fordoun Hotel and Spa etc). While it might sound extravagant, it’s true that it’s the only world class hotel on a world class stud farm in the world! Hartford has become a magnet not only for foreign tourists, but is well patronised by local business and leisure travellers, and besides the broader hospitality experience, it has been home for the best part of the last ten years, to one of South Africa’s national Top Ten restaurants. Not long ago, the senior food critic at The Wall Street Journal counted Hartford among the top three country restaurants “on the planet”, alongside The Royal Mail in Australia and Sweden’s Favikin. This property has been in the hands of only four families in its 140 year history. As mentioned earlier in this piece, Vuma was founded 28 years ago, and in the words of its principal competitor at the time, Equifeeds, enjoyed brand loyalty amongst the country’s top ten trainers as no other. While the manufacturing rights have since been disposed of to Equifeed, Summerhill continues to make feed for its own consumption. 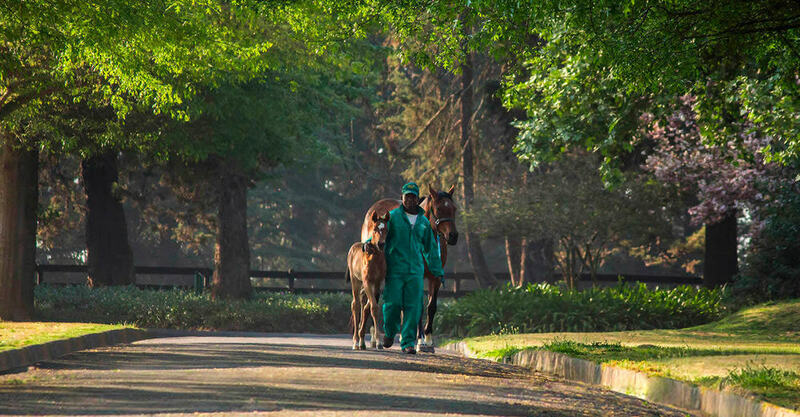 The oldest existing equine insurance brokerage in South Africa with facilities at Lloyds of London, and has a record of never having had an unpaid claim in 39 years. Its existence predates the acquisition of Summerhill, and its clients include some of the industry’s biggest names, despite the fact that it is managed on a low key basis and makes no public solicitations. While it was not originally intended that this unit should be a profit centre, it was also hoped that it should not serve as a drain on the farm’s resources. It has an excellent professional and voluntary teaching staff, and last year the students enjoyed the benefit of lessons from four professors, together with numbers of international and local lecturers of renown. The results speak for themselves, and today it enjoys the approval of most of the ministries and departments connected with racing, Trade & Industry, Higher Education, Agriculture, the Presidency, and the national and provincial gambling boards. Few initiatives of the racing industry with government are presently undertaken without reference to the school. The facility itself ranks with anything of its kind in the world, and is supported by a few student accommodation establishments: The Monastery is a former four-star guest house on 10 acres with eight en-suite bedrooms and a caretaker’s cottage; The Townhouse has four bedrooms and a stand-alone en-suite “granny flat”, where our male students are housed. The female students live in the former home of Colonel George Richards, who hosted the British “Royals” at Summerhill in 1922. The School is seen as a lasting contributor to the welfare of the industry, as well as enjoying the appreciation of our politicians for what it is doing for upliftment.